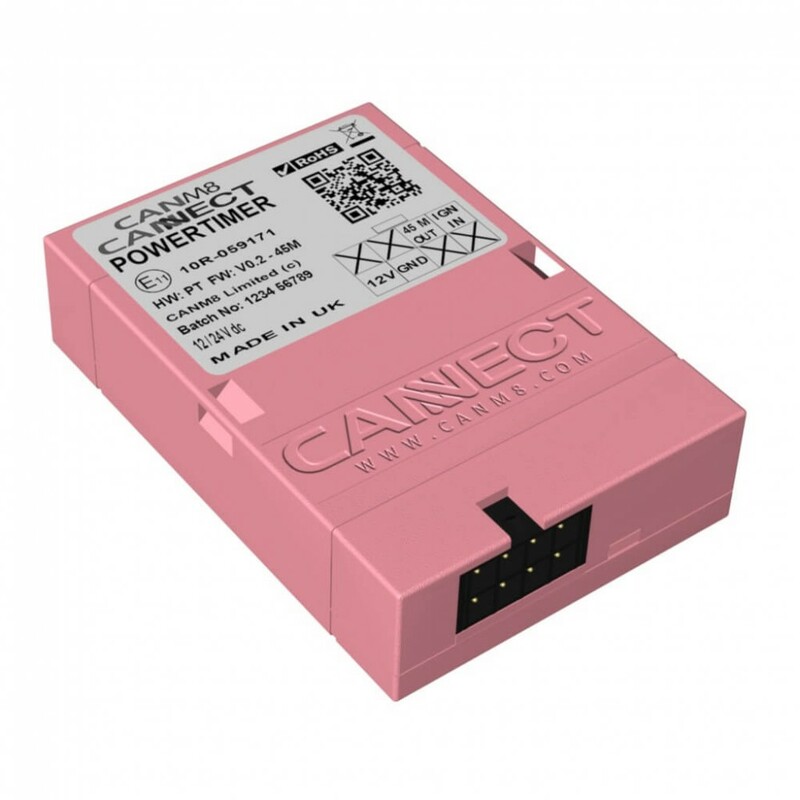 The CANM8 POWER TIMER interface is a non CAN Bus timer interface. The 12v (1A max) output will remain on for 45 minutes after the input signal is switched off. Timed Output > 12v (1A max) output on for 45 minutes after the input signal is switched off. The CANM8 POWER TIMER interface is ideal for providing a delayed output after the vehicle ignition is turned off, especially suitable for use with vehicle entertainment screens or any system that requires power for a short time after the vehicle ignition is switched off. Our range of power control and power-timer interfaces provide solutions for installations that require 'engine running' power control, delayed action or timed power control. The interface features a mini wiring connector, which unplugs to allow easy installation. There is 1 connection to the vehicle required as an input signal along with a connection to a permanent, fused 12v power supply and an earth connection. The interface incorporates a multi-function status LED, which indicates when the timed output is active. Flashing Red: Timed output is active. BROWN > Timed Output : 12v (1A max) active for 45 minutes after the input signal is switched off. PINK > Input Signal : 12v input signal.